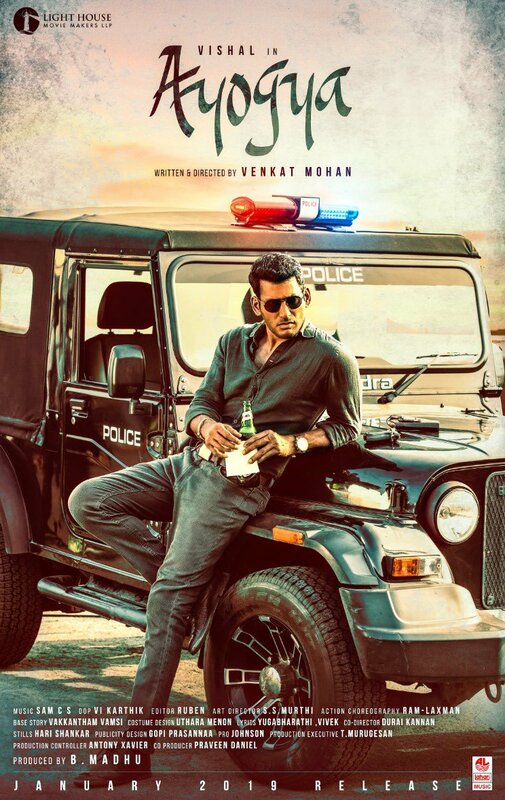 Check out the exclusive first look posters of Vishal’s Ayogya Movie, which is the official Tamil remake of Puri-NTR combo sesnational aggressive film Temper, this film starring Vishal & Actress Raashi Khanna in the lead roles. 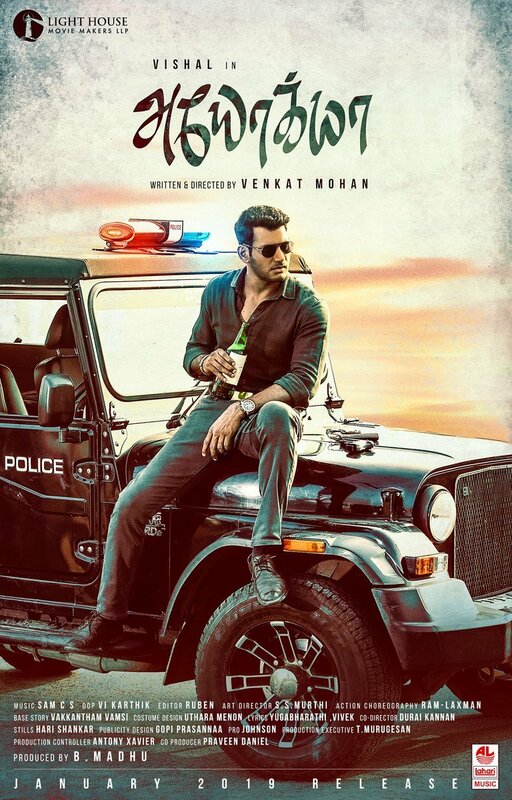 Directed by Venkat Mohan, Music by Sam CS. Produced by Light House Movie Makers LLP.